Where are the athleta Christi? Thermopylae. The great exploits of the armies of Sparta and Athens inspired generations of students before my classes read about the battles which made Europe Europe. Same with the history of the battles of Vienna and Lepanto. Same with the Battle of the Bulge. Tyrants who hated liberty and tyrants who hated God lay in the dust because of brave men, like my dad, still alive at 92, and a World War II veteran. The above article reveals a perspective not new to me. I remember asking my class of mostly young men in 2003 in Alaska if they would fight another war to save the Church and the West. The answer was a resounding "No"! I knew my students, all Catholic, and I knew what their answer would be, but I was still disappointed. Boys who do not learn to sacrifice do not become men. Patriotism is a minor virtue. It springs from the virtue of duty towards one's parents, a command of God to honor one's parents,and by extension, one's home land. Patriotism includes a love of place, of a people with whom one can identify. The great heresies of individualism, an American blight, and relativism, both parts of the heresy of Modernism, has ruined the hearts of so many Americans and Catholics. The lack of patriotism is a lack of identity with the common good. Some love countries other than, or in addition to the land of their births. I am like that type of person. loving the country which gave me my son, and moving there years before I was married and had a child because of a deep identity with this certain country. One cannot always explain a "spiritual home" but for me, the Faith which built Europe, was still more obvious in Great Britain, than in Protestant America, despite years of oppression, when I move there so many, many years ago. What causes love of a country is this identity, and for me, the identity of Catholicism. 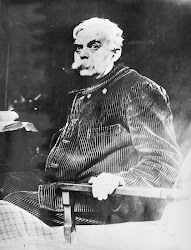 Having read history in college, as well as theology and philosophy, I knew the great heritage of thought and practice which made Europe unique, totally believing even as a young person, like Belloc, that Europe was the Faith and the Faith was Europe. I loved the heritage of art, architecture, music, education, even food, which was the heritage of Christian Europe. I read every book (and still have every book) on this subject that Christopher Dawson ever wrote as early as the late 1970s. Because I knew history, I could sense the signs of the times. Because I knew my religion, I understood what was happening on the European front of the war, as well as on the American front. The Catholic Church has lost great influence in the European world, just as Protestantism morphed into secularism in America. We know witness the rise of pagan nations, and paganism is rooted in selfishness, self-love and not love of a people or nation. This passing of patriotism must be mourned by those of us who understand what this death of the heart means. Charity towards neighbor dies in a land of those who do not love their country. Civilization dies once individual desires take the place of sacrifice for the common good. Men like my dad who spent their youth in trenches fighting against the real tyranny of Nazism perhaps no longer exist in the numbers needed to preserve freedom. And, when a nation turns its back on God, to be honest, freedom no longer exists to preserve. God will let nations die for lack of love, love of patria, love of neighbor, love of Him. He will punish nations which turn to lust, greed, gluttony, pride and so on. He will let people go their own way until there is no other way to turn but to Him. This movement of punishment, death and rebirth forms a persistent theme in the Old Testament, when God called His People to repentance over and over through the words and deeds of the Prophets, who frequently, where killed rather than heeded. Christ Himself prophesied the Fall of Jerusalem and He wept, one of the few times mentioned of His weeping. Satan has successfully spent years emasculating the men of my and following generations. Leadership simply cannot be found, either in the Church or in the State. We face the death of nations for one simple reason. Without Christianity, without God being the center of one's life, men stay as children, lost in the never, never land of self , pleasure, sloth. How many times I have written about the "peter pans". The Lost Boys were lost not only physically but mentally, psychologically, spiritually. But, even they fought in the story, pushed to rescue and defend their own little world. We have no defense, no cohesive energy to withstand whatever enemies decide to come against us. Women who are Christian have seen this for two, if not three, generations, lamenting the lack of protectors and the overwhelming presence of predators among the males with whom they come into contact at work, college, or even in church. We await the canonization of the first couple to be canonized together, Louis and Zelie Martin. 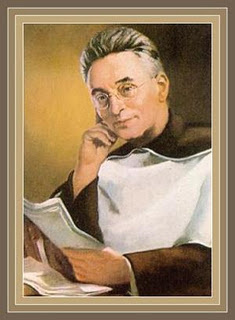 Louis was a quiet, monklike man who God called to raise a house of saints. 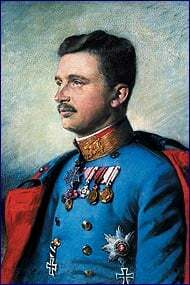 His type, the sacrificial man, is so rare that the day of his canonization, along with that of his brave and loving wife, will be a tribute to a truly lost generation. Catholics forget that God commanded the take-over of the Promised Land. Abraham fought, Moses fought, Joshua fought, Gideon fought. David fought--all saints, all men of God. No Charles Martel, no Charlemagne, no Men of the West, no Louis Martin walks the streets of Athens today, or Chicago, or Canberra. The heart needs God, needs Christ to be a patriot. All the pagan cities fell to the energies of the new generations of those focused on Christ and His Kingdom. Christendom died a long time ago, but now, even the vestiges of civilization crumble from the lack of will and, more importantly, the lack of virtue. War began in Heaven. It was an extremely short war, but the battles continue on Earth. St. Michael, one of the lower echelons of the heavenly host, won the day. However, the mop-up falls to us. Thirteen years ago, when I was facing death, I told my young son that I wanted a certain phrase on my tombstone. This phrase was one I had pondered for many, many years before this occurrence. Now, we do not even have heroes of fiction. I put the phrase in boldface. I decided to become a saint, and to raise a saint. That is what Louis and Zelie Martin decided to do. That is the call of every Catholic parent. Some saints may become leaders, even leaders of war. Pray that God puts a heart of warriors into some of the sons born to real Catholics today. The great spiritual war is not over, yet. I have given God a spiritual warrior. 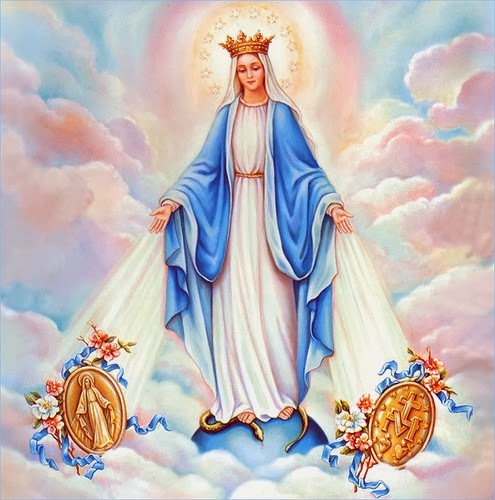 May other parents give their sons to God, both for prayer and penance, and even for war. St. David, pray for us. St. Martin, pray for us. 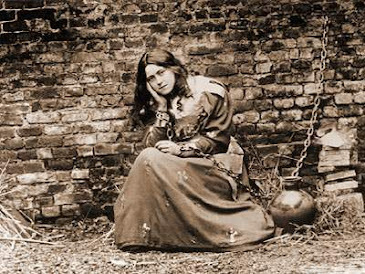 Saint Joan of Arc, pray for us. St. George, pray for us. someday this series will be published....I hope. In all the great orders, a relationship between learning and prayer grew out of the awareness that to know God is to love Him. In fact, the old catechism recommends knowing God, which can come through both acquired study and infused knowledge. 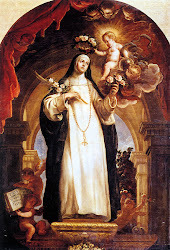 Those saints who are granted infused knowledge, like Blessed Margaret of Castello, or St. Joseph Cupertino, remain rare stars in the firmament of heaven. Most of us must set time aside to read, reflect and pray, one of my favorite sayings here in 2013 or so. For the Jesuits, prayer and knowledge of God create the duty to raise the level of man's capacity to learn through teaching. Those older men who were fortunate enough to have real Jesuit education either in high school or college learned more than just the basics. They learned the Jesuit disciplines of life-long study and even writing. 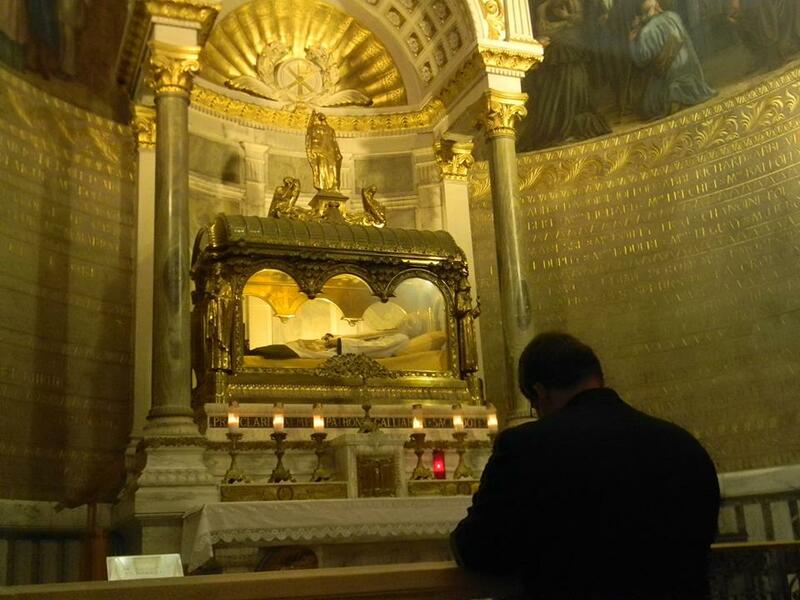 Even at the very beginnings of the order, St. Ignatius, who himself became an older student, encouraged his priests to become thinkers and doers. All the earliest leaders in the Jesuit order went to the great universities of the time, learning the liberal arts, the Trivium and Quadrivium, plus, plus, plus. Before he died, St. Ignatius founded no less than thirty-five colleges, and by the twentieth century, there existed eight-hundred Jesuit colleges across the Earth-sadly, many falling into Modernist heresies. but not all. Why? Why prayer and study? “Give me the child until he is seven and I’ll give you the man" written by Baltasar Gracián (Gratian), a Jesuit who died in 1658. For my faithful, older readers, recall the posts on the Ratio Studiorum, the Jesuit method of education. I taught this method to teachers, and also gave talks on this in the early 2000s to home schoolers. I studied this form in great detail before I home schooled. I recommend this form for all homeschoolers, unless they have already adopted, for example, the Benedictine or Salesian ways. See my series on these methodologies on this blog. If one wants to read the entire text of 1599, find it here. So, formation of the entire person includes study and prayer. Prayer should never be seen in isolation, but in the context of the whole person. Studying, especially the liberal arts, as "liberal" in this phrase means "free", as in a man free to think and free to act, and not a slave, allows for growth of knowledge and discernment. Those Catholics who do not keep up with their learning through-out their entire life have missed God's call to become holy in the mind, memory, understanding and will, all informed by good knowledge. One clear reason why we have moral chaos is the lack of the rational training of logic in the schools. In addition, natural law philosophy is in the heart, but teaching it revives the fervor to follow God's law written on the hearts of all peoples. The mind informs prayer and prayer informs the mind. Look at these selections from the Ratio. 26. See also Rule 30 of the Rules of the Provincial. This regulation is probably the earliest public recognition in educational history that special preparation is necessary for effective teaching. The preliminary Ratio of 1586 made the point that if prospective teachers have not learned the techniques of good teaching beforehand, they will be forced to learn them afterwards at the expense of their students and of their own reputation. Besides, teachers often take it amiss if they are corrected after they have adopted a fixed method of teaching and may thus persist in their mistaken ways. Pachtler, op. cit., II, p. 154. But the origin of this regulation goes back to the founder of the Jesuits, Ignatius of Loyola. When the Roman College (now the Gregorian University) was opened in 1551, Ignatius decided that it should become the center for training future Jesuit teachers for the schools which were being established in many European countries. So he brought to the Roman College the more promising among the young Jesuit students. Eleven came from Messina, others from Spain, Portugal, Louvain, Germany, and Italy. At the same time he staffed the college with the most gifted professors of the Order. The purpose he had in mind was to form the younger students in sound pedagogical principles by observing the teaching methods of their professors and by having the methods explained to them. Thus what they had learned at the Roman College would through them become operative in other Jesuit schools. Ignatius’ letter on his project for the Roman College is in Monumenta Ignatiana, Ser. I, IV, pp. 684-690. 27. One weeps from the fall from grace at so many so-called Jesuit colleges and universities which have strayed from the Faith and from prayer. We should daily pray for a renewal of the Jesuit vision of education which prepares saints to work in the world and bring the Gospel to every nation. Learning and prayer....the two components of an adult faith life, Rather than re-write some ideas on the Ratio, here are some older posts. to be continued...but a little preview from previous posts. three things. The first is the introduction of the material and how it is introduced. The second is repetition and examination, and the third is appropriation. (By the way, most Jesuit schools no longer teach the Ratio Studiorum) The Spiritual Exercises came out of St. Ignatius being taught by Christ in much the same way as the development of the Ratio. mind through the pursuit of speculative truth; the goal of the humanists was character formation, making students better human beings and civic leaders. Jesuit schools were unique in combining these two educational ideals. proper understanding of human nature as created by Almighty God and the ultimate destiny of man. souls made for the Beatific Vision. And that can never be over-emphasized. 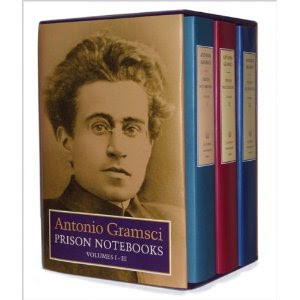 without secular learning, the highest virtue goes unarmed, and at best is profitable to oneself alone (p. 15). Fr. Thomas Hughes, Loyola and the Education of the Jesuits. you on this blog per request of a reader. Socratic Method and the Classics, I used a paradigm based on Benedictine educational paradigms, which I shall save to last. religious or philosophical approach to education must be present in order to unify coursework, the day, the entire formation of the child. as well as the Jesuit methodology. necessary. I do recommend the link below for more information, however. details, especially in literature and history, realizing that the training of the mind in such things as reading and grammar lead to greater skills. Anselm is one of my favorites. He got sick and tired of stupid priests, so made all the seminaries use the Trivium and Quadrivium for curricula. He made sure the discipline in the seminaries including study and spiritual guidance. His changes created ripples of change in seminary life not only in Great Britain, but in continental Europe. 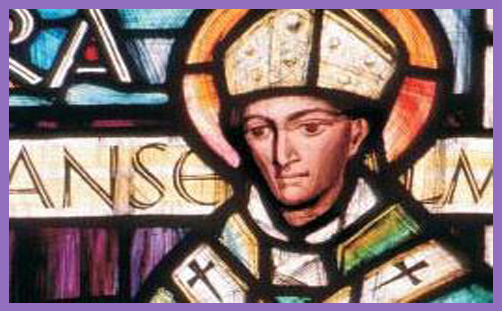 Read more about him under the Doctors of the Church series, or the tag St. Anselm or Benedictines. No takers on the books for which I was begging...pray about it. On this blog, I have focused on transformation; transforming one's self, one's family, one's method of schooling. I have written on transformation in one's method of praying, one's community, one's parish. The need for transformation starts in the manner in which one thinks, reasons, reflects. It begins in the mind. One becomes convinced of the Truth of the Holy Catholic Church and converts. People in ministries spend too much time addressing the heart. Only the Holy Spirit can change a heart. But, we can change minds, our own and others. Christ addresses this, and so does St. Paul, and only those who are faithful members of the Catholic Church do what Paul states. Those who do not believe in Christ, that He is God and that He is the Redeemer, do not have the mind of Christ. Those who do not believe in the True Presence of Christ in the Eucharist, do not have the mind of Christ. Those who do not follow the Ten Commandments or conform their minds and souls to the Beatitudes, do not have the mind of Christ. Be transformed. Sometimes, the word used in this translation is "transformed", which means "reformed". Almost 800 posts on this blog deal with perfection. over 370 reveal the teachings of the Doctors of the Church on perfection. Almost 400 turn to the lives of the saints and martyrs. Over 200 point to the necessity of training the young in the virtues. Over 150 are on persecution. This is the time to become transformed. churches are closing and more will close. Priests will disappear in your areas leaving only a few to minister to thousands. Schools will close or conform to the mind of the State, not God's mind. 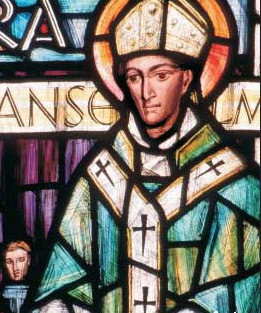 The great gift of St. Anselm to the Church is not only his philosophical writings, but his renewal of the seminaries in the Catholic Church. He introduced the Trivium and Quadrivium into the seminaries. I love St. Anselm. Before I begin, I want to state that the Doctors of Church are a gift to the Church and to us individually. We cannot afford to ignore these gifts to the Church. For Anselm, (1033-1109) I am not going to get into the argument about God as "maximal perfection". although that might help some people follow his thinking about God. I have actually taught the Proslogion and Monologion in the past and do not want to deal with those texts on this blog. What is important in his works are those sermons and devotions which will help us in our journey towards perfection. This section uses much of the same language of John of the Cross and Bonaventure, regarding the Bridegroom, Who is Christ. That we are one in Christ, and one Christ with Christ Himself. CONSIDER also more yet more deeply in how close an union thou art joined with Him. Hear what the Lord Himself prayeth to the Father for them that are His: I will, saith He, that as Thou and I are one, so they also may be one in Us. I am (that is) Thy Son by nature; I pray that they may be Thy sons and My brethren by grace. How great a dignity is it for a Christian man, so to grow in Christ that he himself may be called in a sense Christ. This also that faithful steward of God’s house hold the Church perceived when he said: All we that are Christians in Christ are one Christ. 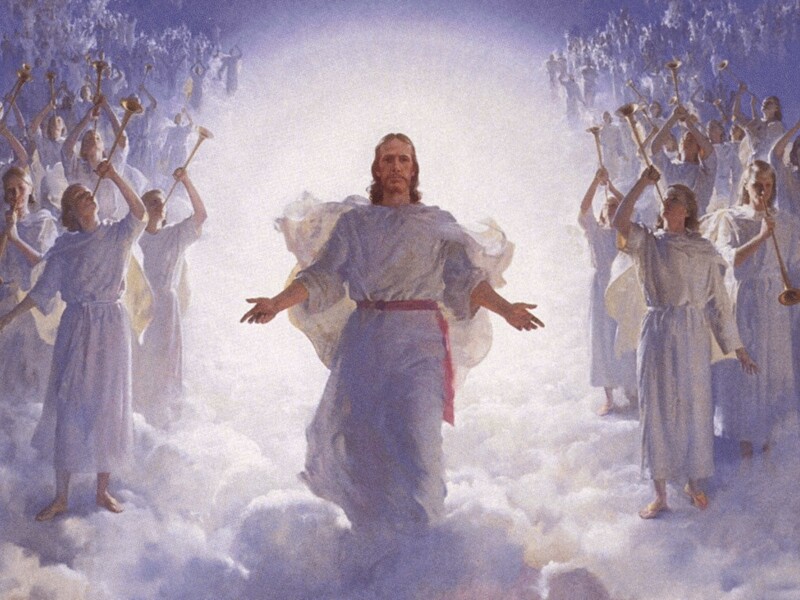 Nor should we wonder thereat, when we consider that He is the head and we His body; He the bridegroom and He also the bride; in Himself the bridegroom, but the bride in the holy souls whom He hath bound to Himself in the bonds of an everlasting love. As upon a bridegroom, saith He, hath He set a crown upon Me, and as a bride hath He adorned me with ornaments. Here, then, O my soul, here do thou consider His benefits towards thee, be thou inflamed with the love of Him, let the fire that is in thee break out into longing after the blessedness of beholding Him. And here, Anselm reflects the poetry of Bernard of Clairvaux. Cry out boldly in the words of the faithful bride, Let Him kiss me with the kisses of His mouth. Let all delight which is not in Him depart from my mind, let no pleasure, no consolation of this present life comfort me, while His blessed presence is denied to me. Let Him embrace me with the arms of His love, let Him kiss me with the heavenly sweetness of His mouth, let Him speak to me with that ineffable eloquence wherewith He revealeth His secrets to the Angels. May the Bridegroom and the Bride enjoy such mutual interchange of discourse, that I may open my whole heart to Him and He reveal to me the secrets of His sweetness. Thus, O my soul, refreshed by these and such like meditations and full of the passion of a holy longing, do thou strive to follow Thy Bridegroom and say unto Him, Draw me after Thee; we will run after the odour of Thine ointments. The person must run after Christ is this pursuit of holiness. Speak to Him and speak as a loyal spouse not with the sound of words that passeth away but with a longing of heart that fainteth not; so speak that thou mayest be heard, so desire to be drawn by Him that thou mayest follow. 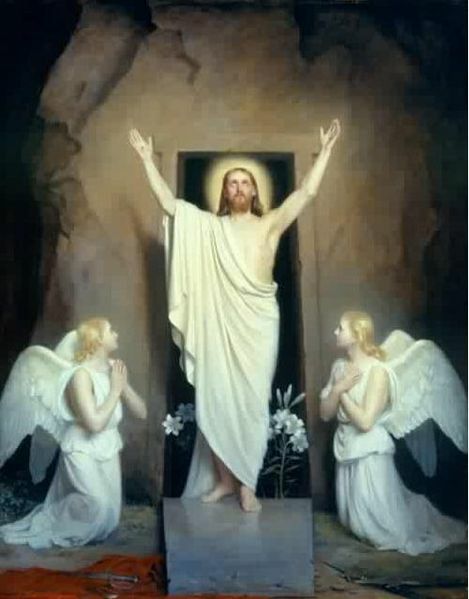 Say therefore to thy Redeemer and Saviour, Draw me after Thee. Let not the sweetness of this world but let thy sweetness of Thy most blessed love draw me. I know this is hard for some people, but the pursuit of God is like a love relationship-one approaches the lover and he approaches the beloved in a back and forth giving and receiving until there is completion. This relationship becomes more and more intimate in the Unitive State. Draw me, for Thou hast drawn me heretofore; hold me fast, for Thou hast laid hold upon me.Thou hast drawn me to Thee by redeeming me; draw me by saving me. Thou hast drawn me by pitying me; draw me by blessing me. Thou hast laid hold on me by appearing among men, made man for us; hold me fast as Thou sittest on Thy throne in heaven, exalted above the Angels. How wonderful is it that it is the King of the Universe that is the Bridegroom. God is also King as well as Love, in the language of the Song of Songs. Anselm is right in the mystical tradition of the great Bernard of Clairvaux. This overlapping of language is not merely a cultural style, but the reality of the heart's seeking after God. That is Thy word, that is Thy promise. Thou hast promised, saying: And I, if I be lifted up from the earth, will draw all men unto Me. Draw therefore now in Thy mighty exaltation him whom Thou didst draw to Thee in Thy merciful humiliation. Thou hast gone up on high; let me believe it: Thou reignest over all things; let me acknowledge it. Do I not acknowledge that Thou reignest? Surely I acknowledge it, and give Thee thanks. But do Thou grant that I may acknowledge with the acknowledgement of a perfect love that which I acknowledge by a devout faith concerning Thee. Bind the desires of my heart to Thee with the indissoluble bonds of love, since the first-fruits of my spirit are already with Thee. Vouchsafe that we, whom Thy love in redeeming us did knit to Thee, may have fellowship with Thee in the unity of the same love. 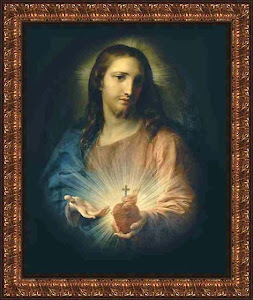 For Thou hast loved me, Thou didst give Thyself for me; may therefore my heart and mind be with Thee continually in heaven, and Thy protection with me continually on earth. Help him when he burneth with longing after Thy love, to whom Thou didst show love when he despised it. Give to him when he asketh to whom Thou givest Thyself when he knew Thee not. Receive him when he returneth to Thee, O Thou who didst call him back to Thee when he fled from Thee. I will love Thee that I may be loved of Thee; nay rather, because I am loved of Thee, I will love Thee more and more that I may be loved the more. May my thoughts be knit to Thee, may my heart be wholly made one with Thee, where our nature, which Thou hast in mercy taken upon Thyself, reigneth with Thee in bliss. 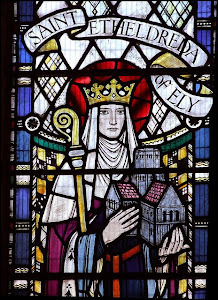 Again, these passages reveal the loving, warm, and holy heart and mind of Anselm. I hope some of you are surprised at the depth of this holy man's love for Christ. Grant that I may cleave to Thee without parting, worship Thee without wearying, serve Thee without failing, faithfully seek Thee, happily find Thee, for ever possess Thee. 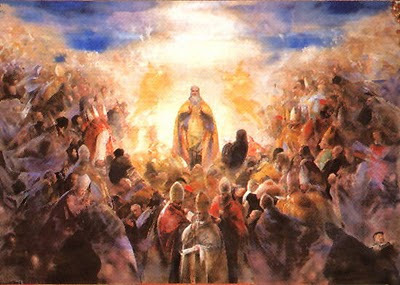 Addressing God in these words, O my soul, do thou kindle thyself, do thou burn, do thou break forth into flames, and strive to become wholly on fire with longing after Him. For many years of my life, I was involved in helping schools and one college set up Trivium and Quadrivium studies. 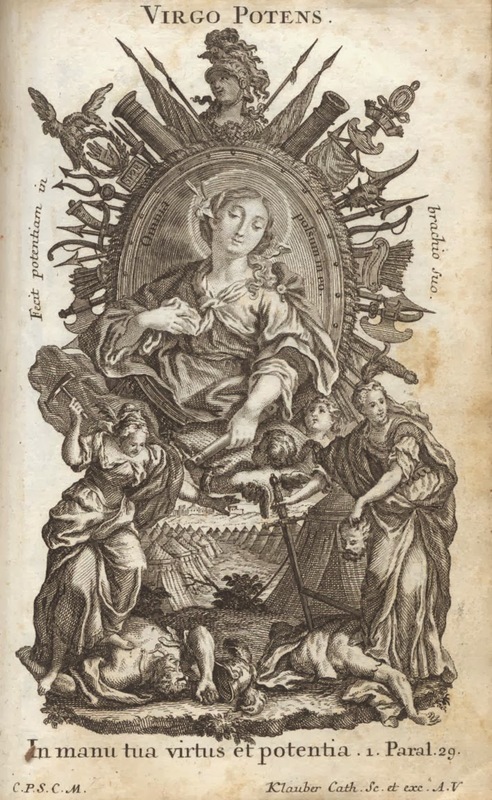 I have taught the famous book on this subject, by Martianus Minneus Felix Capella, De nuptiis Philologiae et Mercurii sometimes called the On the Seven Disciplines or the seven liberal arts. But, if I had to choose one book dealing with classical education to take to a desert island, it would be the Doctor of the Church St. Isidore of Seville's Etymologie. This work is a compilation of knowledge and definitions from the classical world, which is being lost to ennui and the lack of structure in our educational systems. For centuries, children and adolescents learned the liberal arts in order to learn how to think. This ideal was destroyed on purpose in the 19th century by Bismarck and by Dewey, among others. If a Catholic has not had the benefit of a classical education, the culture of the West will die, as well as creating an impoverishment in the Church. Tradition and Revelation formed part of this great Western tradition we called civilization. 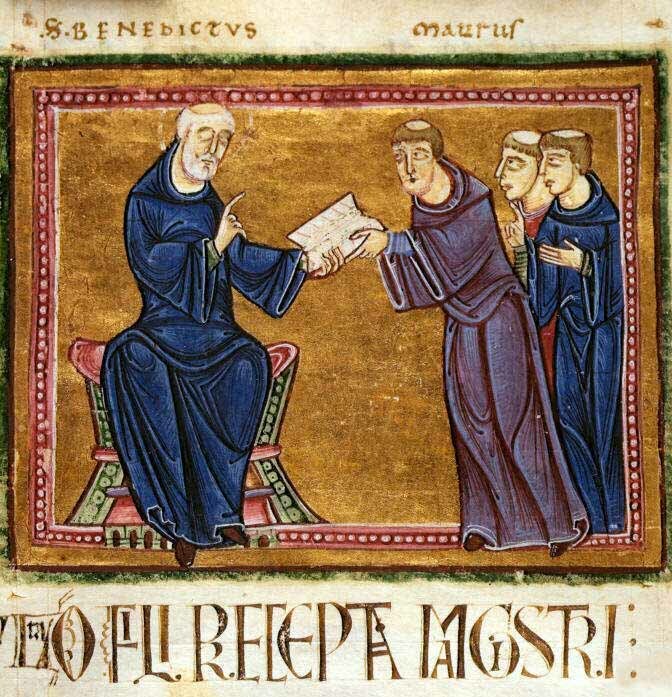 Thankfully, the Benedictine monks kept copying Isidore for the future students who would use him. 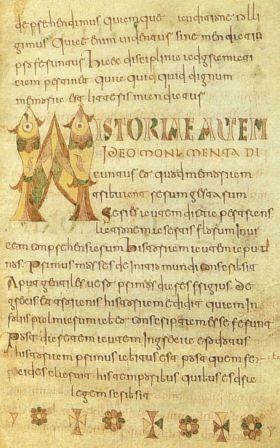 Learning and the Love of God formed the basis of the Benedictine way. 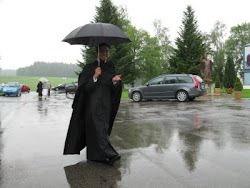 Those who cannot see the value cannot see how the discipline of the monasteries and seminaries in ancient times created men and women who not only could become holy, but think. The use of the intellect and the pursuit of holiness go together. This entire way of life is disappearing so fast, I cannot imagine a stemming of the tide of anarchy, which is the result of a lack of thinking. Here is one small section of Isidore's work, which I shall highlight in the next few days in the perfection series. The great problem of the 21st century is the emphais on emotion rather than thought and the notion that religion is not connected to thinking. How wrong this is.... first take a look at this reminder of the liberal arts. arts. The ﬁrst is grammar, that is, skill in speaking. and ﬂuency of its eloquence, is considered most necessary in public proceedings. false by very subtle argumentation. is astronomy, which covers the law of the stars. For many of my readers, this list looks like a foreign curriculum. However, I have helped set up such in some schools in the States and in Canada, and my home school was based on this and the Montessori Method. What does all this have to do with perfection? God has given us brains to use to discover Who He Is. Revelation and the study of Scripture is part of this journey to knowledge. But, there is more. As Father, as Creator, as Son of God, the Incarnate One and as the Holy Spirit, God dwells in us through grace. Our intellects are to be renewed in that grace. 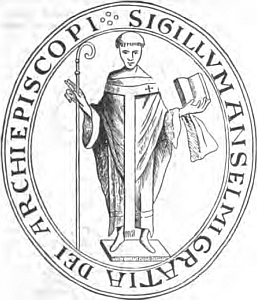 The Benedictines understood this by creating the oldest institution in Christian Europe, the classical educating school system. This was created out of the ruins of Rome, and God Himself, becoming Incarnate at a particular time in history, shows us the way to be human and divine. We cannot ignore the human in our search for perfection. The honing of the mind allows us to come to know God Himself. One reason for the lack of holiness in the world is the destruction of thinking skills. People have fallen into New Age and Pentecostal religious experience because they have not learned that the mind is part of the way to God. We ignore learning at our own peril. Isidore knew this. He is one of the most important Doctors of the Church for our time. 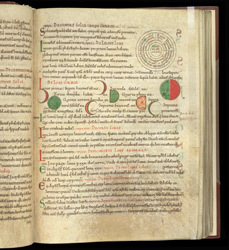 Here is another section: Isidore wrote all the knowledge he could at the time of the failing of the Roman empire. We should be doing the same-passing down knowledge for the sake of the souls of our children, and grandchildren before it is too late. All this is found here. I shall highlight more sections later pertaining to the road to unity with God. Without Isidore, we would not have had the space race to the moon, or penicillin, or Shakespeare, or Tolkien. 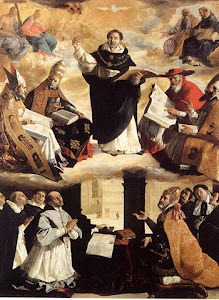 Without Isidore, we would not have the later Doctors of the Church, such as St. Bernard of Clairvaux, whose superb sermons used so much on this blog, are based on Cicero and other classical orators. Out of Isidore's massive twenty volume encyclopedia the only thing missing is musical notation, which he felt could not be written down. The Benedictines took up that challenge nicely. The first printed map EVER in Europe was that of Isidore of Seville's, printed in 1472.
which is the kingdom of heaven. Numbers; ﬁfth Elleaddebarim, which is Deuteronomy. new people, about the present age and the future kingdom and judgment. 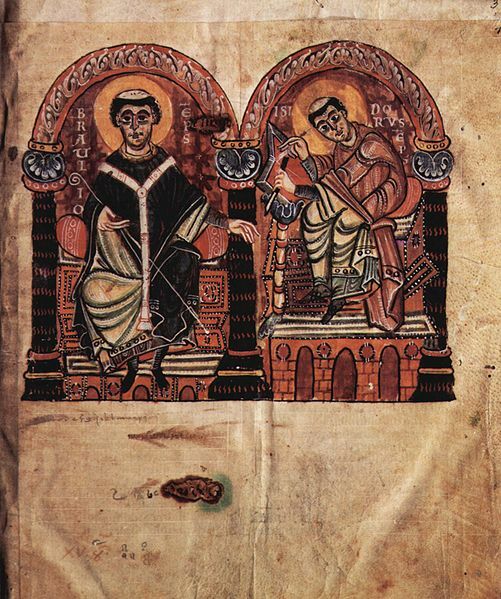 St. Benedictine and the Benedictines created the education system of the West. 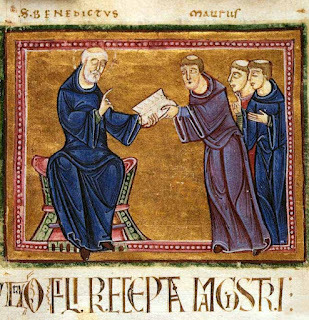 We owe the revival of classical education to the Benedictines. They preserved the texts of the Greeks and Romans and used these to re-create the Trivium and the Quadrivium in the context of Catholicism. The entire idea of work and prayer, labore et orare is also part of the day for education of the monks as well as their lay students. The beauty of the Benedictine Rule, which covers the practice of the virtues, and the pursuit of perfection, under obedience and through humility, provides a great format for the home schooling. A parent can divide up the day between work, manual labor and study, as well as prayer. Children then learn necessary maintenance skills, as well as cooking, cleaning and so on as part of the spirituality of work and prayer and study. Rarely does a homeschooler need to study all day and the Benedictine methodology fits into teaching the whole person, based on order and scheduling. 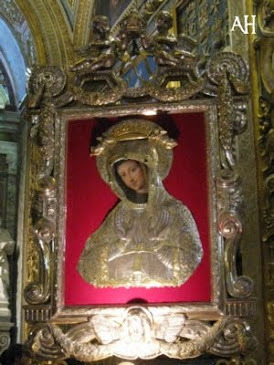 Art and Beauty are part of the Benedictine heritage. So that and music should always be part of the curriculum. I highly suggest reading The Love of Learning and the Desire for God by Jean Leclercq, which I read years and years before I was married, but it prepared me for my Benedictine day of work, prayer, and study, and led me to use the Benedictine model for home schooling. For more on the Salesians, Dominicans, and Ursulines, just follow the tags, especially Catholic Education. Also check out the three or four posts on St. Peter Canisius, Doctor of the Church.